I am so excited to review this product! 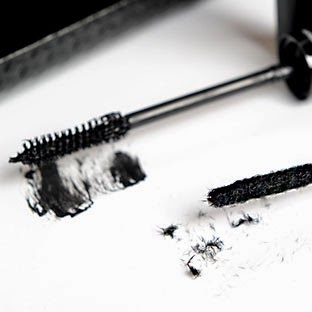 This is a 2 step addition to your everyday mascara. 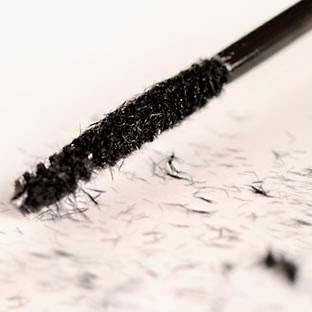 It adds natural fibers to your lashes to mimic actual little hairs. It's a pretty great concept! I rarely ever wear false eyelashes anymore - #1 because I use Latisse and don't really need extra length (post to come on that!) #2 I have a baby now and am lucky to even put chapstick on. I also CANNOT - I mean CANNOT do lash extensions. I have extremely sensitive eyes and the month that I had them I was in pain and misery. Awful. Bleh!! 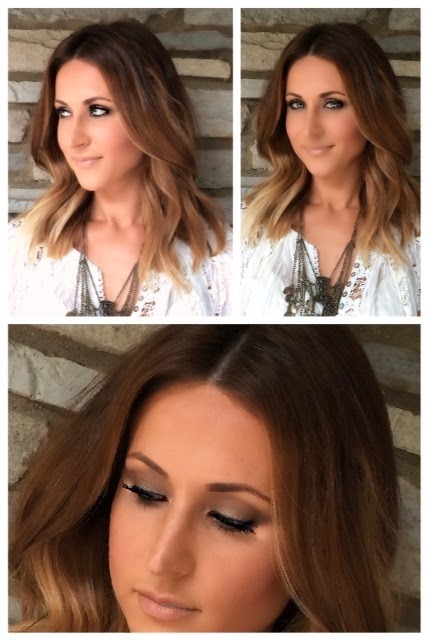 Not to mention the price and upkeep of the extensions. No thank you! This is the perfect alternative to falsies and extensions. Now, this is not a quick process by any means. It is 4+ steps for each eye. THIRD: Apply Moodstruck Natural Fibers to still wet gel. I work quickly but really take my time to cover all my lashes and really get the fibers where I need them. You may want to have an eyelash comb on hand to separate any lashes that get stuck together (tip: sometimes I use a safety pin to separate lashes - please don't poke your eye out). FOURTH: Apply another coat of the gel to seal in the fibers. If you don't seal the fibers will fall underneath eyes. At this point you should have ridiculously THICK lashes. My lashes right now are pretty long from the Latisse, so I didn't notice a huge difference in length. To me - putting any mascara on will make them look longer. What I like about this mascara is the noticeable fullness/thickness. It looks like I have fake lashes on. Really - it does. Even if you wouldn't take this much time to do your lashes everyday (some of you might) this is still a great product to always keep on hand for nights out/events/etc. Like I said - super sensitive eyes - and this did not irritate them in any way. It is also safe if you are a contact lens wearer. Here is a pic I took yesterday wearing the Fiber Lashes - I didn't take it specifically to shoot this mascara so it is not close up - but the lashes really do stand out. I didn't apply a thick coat at all - spent very little time applying but they still look really great! NOTE: I am NEVER paid to review products!